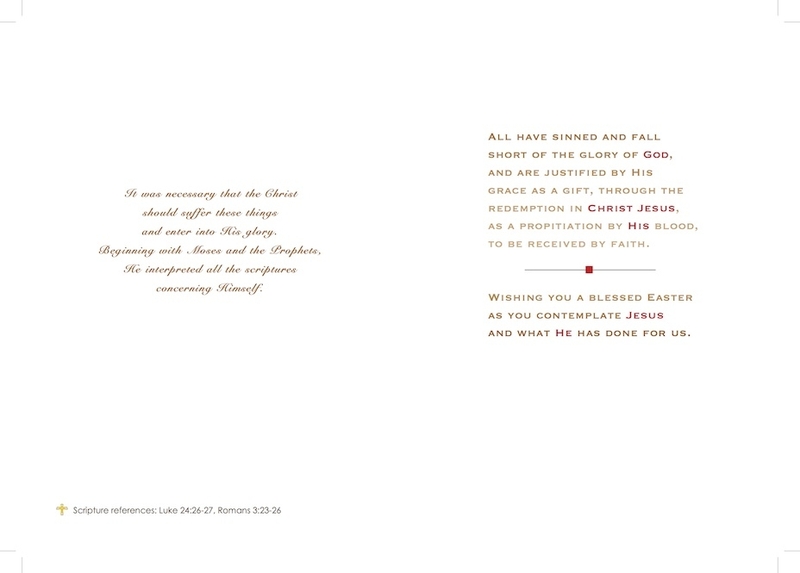 A card that proclaims the truth of Easter: Christ has accomplished your salvation! Announce the good news with boldness and joy to your family and friends in this Holy Week. Inside: (left) It was necessary that the Christ should suffer these things and enter into His glory. Beginning with Moses and the Prophets, He interpreted all the scriptures concerning himself. (right) ALL HAVE SINNED AND FALL SHORT OF GOD, AND ARE JUSTIFIED BY HIS GRACE AS A GIFT, THROUGH THE REDEMPTION IN CHRIST JESUS AS A PROPITIATION BY HIS BLOOD, TO BE RECEIVED BY FAITH. WISHING YOU A BLESSED EASTER AS YOU CONTEMPLATE JESUS AND WHAT HE HAS DONE FOR US. Includes: Original exclusive design by Ad Crucem. 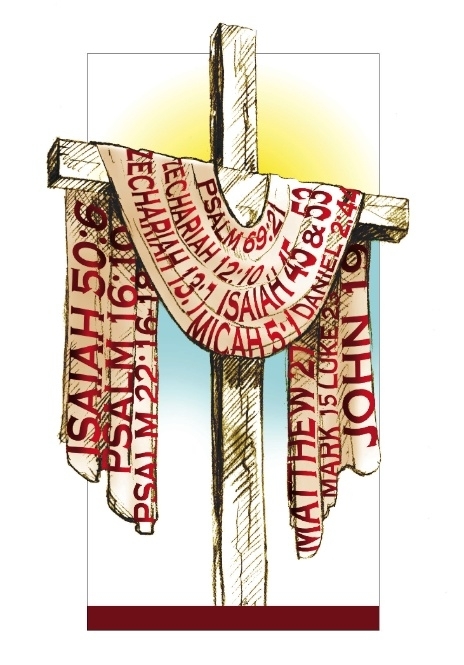 Cross-focused, Christ-centered scriptures that confess the one true faith. 5"x7" card printed on premium paper stock milled in upstate New York. Printed in Denver, Colorado at a G7 & Green Certified facility. Each card is protected with a plastic sleeve and includes: bookmark, gift tag, and envelope. Conceived, designed, sourced and printed in the USA.